Kristiina Poska (© Kaupo Kikkas). Danae Dörken (© Giorgia Bertazzi). Two masterpieces will be performed at the opening concert of the Romanticism series, beginning just before Christmas, which were created almost a century between apart – Beethoven’s Piano Concerto No. 5 dates back to the early 19th century and Mahler’s Symphony No. 5, including the ravishing Adagietto, originates from the beginning of the 20th century. Danae Dörken, the German-Greek pianist who took over the world of music when she was just a child, will give her first performance in Estonia. She is currently conquering stages all over the world with her impressive technique, spectacular charisma, and meaningful interpretations. Kristiina Poska will be conducting the performance. 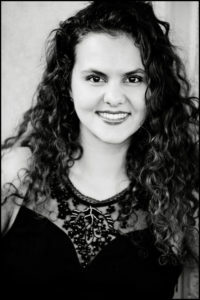 She has won numerous prizes and is currently working as a freelance conductor with reputable orchestras and opera houses in Europe. She will start her season with a debut at the Dresden Semperoper, where she will conduct Mozart’s The Marriage of Figaro.